We have CUPS seminars and informal meetings every week or two during the spring and fall semesters, and periodically over the summer. If you would like to receive announcements of CUPS events, please subscribe to the CUPS mailing list by visiting https://mailman.srv.cs.cmu.edu/mailman/listinfo/cups. If you are not a local community member but would like to get announcements about CUPS papers and related news, you may subscribe to our CUPS-friends mailing list by visiting https://mailman.srv.cs.cmu.edu/mailman/admin/cups-friends. If you are a CMU student or faculty member doing CUPS-related work that you would like to have included on our web site, please contact Lorrie Cranor. Several masters and undergraduate students who have taken CUPS-related courses have subsequently worked on research projects in the CUPS lab. If you are interested in working on a research project with a CUPS-affiliated faculty member, you should first sign-up for a course in privacy, secure systems, or human-computer interaction (preferably taught by one of the CUPS-affiliated faculty members). You might also want to sign up for our mailing list and come to some of our events to learn more about the research projects we are working on. Undergraduate and masters students can work on research projects for independent study or thesis credit. We sometimes have paid positions available as well. Current and admitted CMU PhD students who are interested in working on CUPS-related projects should contact Lorrie Cranor or one of the other CUPS-affiliated faculty members. CUPS members currently include PhD students from the Computation, Organizations and Society and Engineering and Public Policy programs. We will also consider students from the Human Computer Interaction, Computer Science, Heinz, or other CMU PhD programs. Please apply directly to one of these PhD programs, but mention your interest in CUPS in your personal statement. 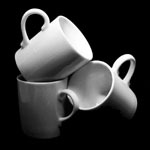 As funding becomes available, we expect to hire one or more postdocs or research programmers to work in the CUPS lab. Please send a resume along with a cover letter describing your interests to Lorrie Cranor.